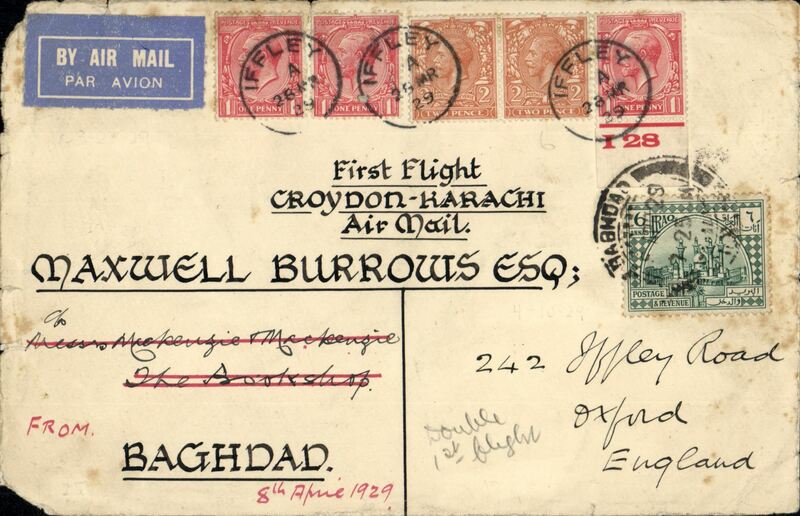 Description: Pacific Survey Flight from San Francisco to Hawaii and Return by Pan Am, long 6c postal stationery envelope with machine cancellation, on reverse arrival datestamp of April 17, 6c affixed and tied by Honolulu cancellation of April 22 and a further 6c added upon arrival and tied by San Francisco cancellation of April 23, both outward (red) and return (blue) cachets below and signed by the pilot 'Edwin Musick', fine and scarce as only a few carried on the round trip (AAMC 1230). 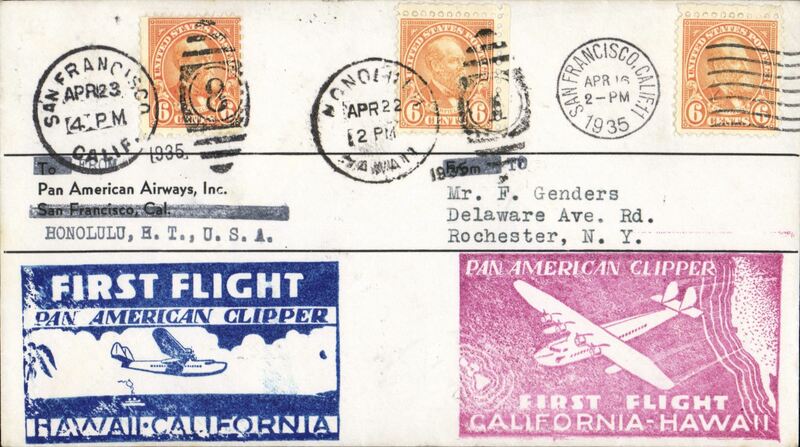 Description: Round trip survey flight, Pan Am Sikorsky "Pan American Clipper" Survey Flight San Francisco-Hawaii and return, bs Honolulu 17/4, also cancelled Honolulu 22/4 for return to San Francisco, 23/4 arrival ds, large red flight Clifornia-Hawaii and blue Hawaii-California flight cachets. Only a few covers were carried on the round trip.